One of the things I remember about moving into the parsonage in Soldier, Iowa (where I served as pastor from 2004-2010) was the dirt. I grew up on a hillside in the Black Hills of South Dakota. We never had a lawn to mow. We had Ponderosa Pine needles and pine cones, a gravel path from the garage to the house, and gatherings of grass all covering fine brown soil that would fly away with the slightest breeze. The dirt in Iowa was black. It looked different, felt different, and smelled different. This was not dirt; it was soil, soil perfect for growing corn, soybeans, grass, weeds, vegetables and flowers. The pastors who preceded me liked planting and tending flowers and vegetables. My first spring and summer I watched in wonder as different perennials sprouted up all around the house and yard—daffodils, lilies, poppies, roses. Fortunately for me, the vegetable garden had been torn up several pastorates before and reseeded with grass. There was still a rhubarb patch, perfect for someone with no green thumb because it is almost impossible to kill rhubarb. A bonus, so long as there is sugar on hand it doesn’t take much skill to make something edible with rhubarb. There were also weeds—of all varieties. There was some surprise that this practice of growing and planting things was not second nature to someone from South Dakota. I had to explain that I grew up in the Hills and not on the prairie outside of Sioux Falls. We did grow vegetables but it was not easy. My parents built a greenhouse onto the side of our house and threw in hay for mulch every year. The temperatures dropped early at our mile high home, so if there were still tomatoes on the vine in the fall my mom would move a heater into the greenhouse. And of course we had to water the plants nearly every day. As far as flowers, for several springs my mother and I would plant Marigolds and Pansies in a little plot outside the front door. That was the extent of flower gardening, but not of my flower education. We would walk through the forests and meadows with a Black Hills wild flower book in hand. Together my mom and I would stoop down and identify them—Pasque Flowers, Shooting Stars, Butter Cups, Asters and Blue Bells. We also sought out wild raspberries. I became a forager. This was a skill I honed as a teenager during my canoe trips in Minnesota’s Boundary Waters Canoe Area Wilderness and Ontario’s Quetico. 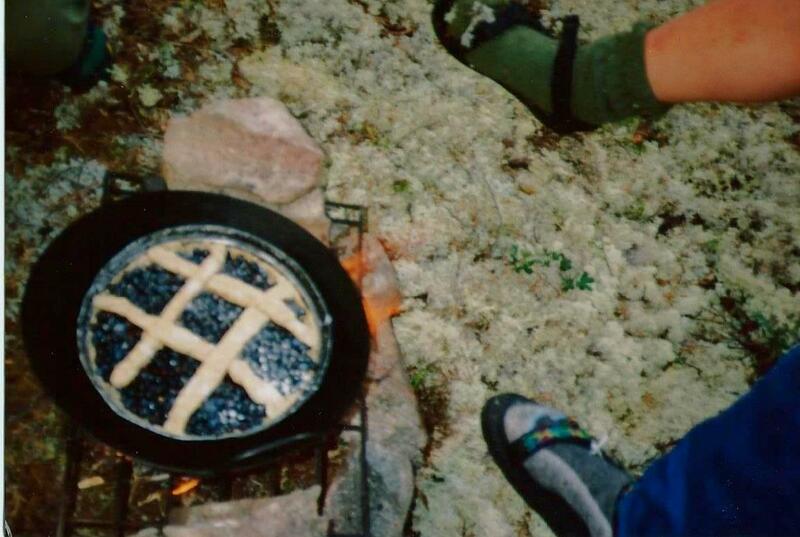 One layover day on an 18-night trip in the Quetico, my sister travelers and I gathered enough blueberries to make a pie. My lack of skill and, I’ll simply admit it, lack of interest in gardening does not mean I did not enjoy the fruits of others’ labors in Iowa. I gladly accepted tomatoes, squash, zucchini, and green beans which people left on my screened in front porch. Every July and August I went through yards of dental floss because of my sweet corn intake. Everyone, including me, was amused that my second call was to a church with a well-known community garden ministry. Would I be out there planting and weeding? Probably not. Did I think a community garden was a valuable ministry? Of course. But before envisioning what might be next for Trinity Community Gardens (plural because there are multiple garden sites) I had a great deal to learn about growing plants in a high-dessert climate with an extensive irrigation system.